HomeHow ToHow to Root BlueStacks 2 on PC for Windows using One Click Root Method or KingRoot Method. How to Root BlueStacks 2: BlueStacks 2 is the latest and greatest version of popular android emulator BlueStacks with over 100 million users. 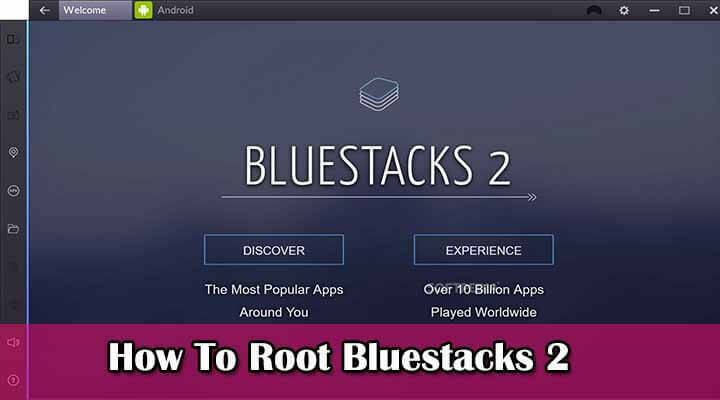 With this much popularity we have brought you the best and easiest method to Root BlueStacks 2 using One Click Root method. This is the first time ever BlueStacks received an update with completely overhauled user-interface and is getting positive review from both critics and users alike. Reason behind the popularity of BlueStacks 2 android app player is that it now has apps that are optimized specially to be played without any graphics distortion and glitches on PC Windows 7/XP/8/8.1/10 and MAC OS X/macOS Sierra. Moreover, you can now multi-task with BlueStacks 2, play games and send texts on WhatsApp at the same time, a new in-build browser shows all internet searches without needing to leave BlueStacks 2 for PC. Adjust screen size with simple scrolling. Here you use original BlueStacks 2 Android app Player on PC or root BlueStacks 2 on PC Windows or MAC in order to play Android games and apps on computer. You can also check the Root BlueStacks 2 with KingRoot method as well. BlueStacks 2 has completely new GUI with flat design. You can download and install BlueStacks 2 on Windows 10/8/8.1/7 (32bit/64bit)/Windows XP (SP2 or higher) and MAC OS X as well as new macOS Sierra. See the link in the guide below to get latest download versions of BlueStacks 2 for PC Windows and MAC. Android is the most used mobile operating system having largest app library in the world. Windows by contrast lacks many amazing apps that you would otherwise find on Android. But it is possible to play all Android games and apps on desktop PC and laptop with Root for BlueStacks 2 for Computer Android emulator tool. It turns your Windows and MAC desktop/laptop into a virtual Android device to play Android apps on computer. Quickly access most used function from a new toolbar on the left of the BlueStacks 2 interface. Install APK file for Android apps to and from computer and BlueStacks 2. Share the BlueStacks 2 screen to refresh the emulator tool. Take screenshots and share them on social media. You can now play Pokemon GO on BlueStacks 2 for PC. Yes, you can play Pokemon GO on PC via BlueStacks 2. You can now live broadcast your gameplay screen via BlueStacks TV. BlueStacks 2 for Laptop/Desktop allows you to multitask. Use several Android apps side by side just like on Android mobile. You can now root BlueStacks 2 for PC easily for playing rooted Android apps and games on PC anytime you want, just keep on reading this guide to get BlueStacks 2 rooted emulator tool on PC. Android fanatics will surely like this features who just can’t live without rooted Android app that enables them to access every app feature and even customize apps according to their liking. Below we have a guide which will show you how to root BlueStacks 2 on your Windows PC or MAC. Download BlueStacks 2 and install it on your PC. See our complete guide to install and setup BlueStacks 2 on PC. Next download Kingroot Apk here. Click on the downloaded apk file to install it on BlueStacks 2. On BlueStacks home screen, select ‘Android tab’ and then click ‘All Apps’ icon in the first row. Click on the Kingroot app. When the app is open, click on the Android icon that shows up on the screen to initiate the rooting process. Wait for the rooting process to complete and restart BlueStacks 2. All done. BlueStacks 2 android app player has been rooted. Install the Root Checker app from Google Play on BlueStacks 2 to verify that BlueStacks 2 has been successfully rooted or not. KingRoot has its uses but the most popular rooting app on Android is the Super Sume (SuperSU) app. 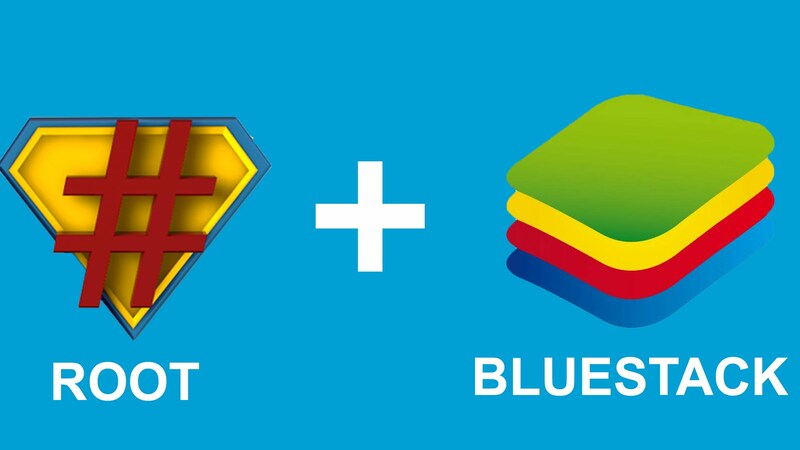 Here’s how you can use it to root BlueStacks 2 on PC. 1 – Download and install BlueStacks 2 on PC. 2 – Open BlueStacks 2. 3 – Download SuperSU APK and install it on BlueStacks in the same way you installed KingRoot APK. 4 – Open SuperSu app and click on the blue button to grant root access. 5 – Follow 0n-screen instructions to complete the rooting process. 6 – If you have KingRoot installed, SuperSU will automatically replace it. 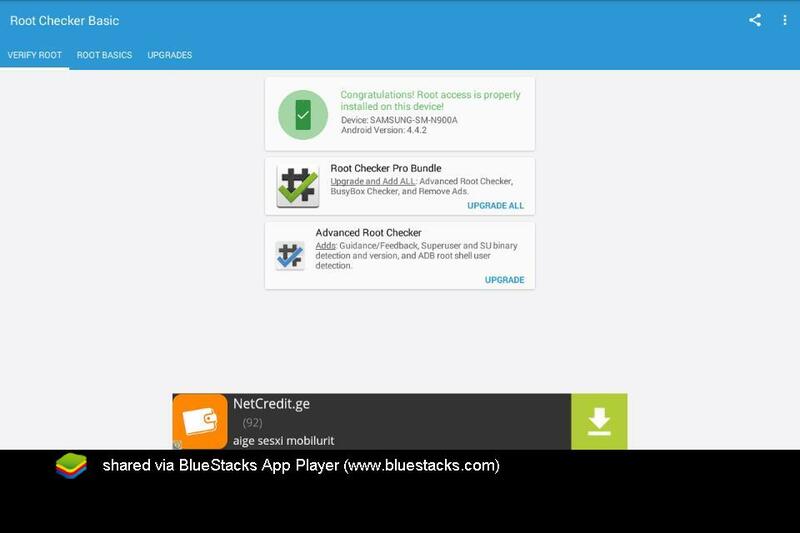 7 – You can access SuperSU app from the All Apps on BlueStacks main menu.